Settlement in Stillwater, Oklahoma began during the 1889 land run. The first settlers lived in tents pitched next to the creek that gave the town its name and survived on hunted wild game. From these rustic beginnings, Stillwater quickly developed after it was named the seat of Payne County and the site of Oklahoma’s land grant college in 1890. Cotton was the main economic engine of the area, and Stillwater became a commercial and processing center for the cash crop. By the time Eli Youngheim opened a clothing store there in 1894, Stillwater had a water system, public schools, and a downtown filled with commercial buildings. Stillwater never had a formal Jewish congregation, but a small number of Jews have lived in Stillwater since the late 19th century. Before moving to Stillwater, Eli Youngheim lived in Winfield, Kansas, so he hired his young nephew, Jake Katz, to run the Stillwater store. Katz was likely the first Jew to settle in Stillwater, and he would leave his mark on the town over the next 75 years. Born in Germany in 1874, Katz came to the United States when he was 13 years old. He was working in his uncle’s store in Kansas when he was sent to Stillwater. By 1896, there was a falling out between uncle and nephew, and Katz opened his own store in town. When his brother Isaac joined him in 1898, they renamed the store Katz Brothers. A decade later, Isaac left town to open a store in Pawnee, Oklahoma. Later, the brothers had stores in Oilton and Yale. Over the years, as it moved to larger locations, the Katz Department Store became the biggest and oldest store in town, as well as a way station for newly arrived Jewish immigrants. Many Jewish immigrants, most of whom were related to Katz, boarded trains bound for Stillwater to get their start in America working for the Katz Department Store. In the early 1920s, Jake brought over Morris Isenberg, the son of family friends in Germany, who worked in the store until he retired. Katz was able to bring over many of his family members from Germany before the Holocaust, giving them jobs in his store. Most went on to open businesses of their own, often in other towns, though a handful remained in Stillwater. Theo and Anne Marie Goldenberg opened a dairy in Stillwater, while Max Katz was in the cattle business. Katz brought over his cousins Adolph and Rosa Isenberg along with their two children. He took on Sol Frisch, whose wife Florence was Jake's cousin, as a partner in the store in 1920, expanding the business. 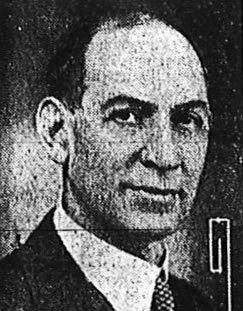 Katz once again became the sole proprietor after Frisch died in 1943. According to a feature on the 80-year-old Katz in the Stillwater Daily News-Press in 1953, he was “the oldest active merchant in Oklahoma” at the time and ran the “oldest store under one continuous management in the state.” His nephew, Jack Katz , worked with his uncle in the store at the time. When Jake retired, his son-in-law, Sylvan Goldman, managed the business from his home in Oklahoma City. Although Jake Katz died in 1968, the Katz Department Store remained in business until 2005. Katz was also the leader of the small local Jewish community. Stillwater has never had a large Jewish population. There were a few other Jewish merchants in town during the early 20th century. Russian native Sam Miller owned a dry goods store in town by 1900, which he ran until he died in the early 1920s. But by 1937, only 12 Jews lived in Stillwater, most all of them related to Jake Katz. Thus, it’s not surprising that the first High Holiday services held in Stillwater in 1936 took place at the home of Jake and Sophie Katz. His brother-in-law, Nathan Goldenberg, led the services. The group never established a formal congregation though, and Jake and Sophie belonged to the Reform congregation in Oklahoma City. Over the years, a handful of other Jewish merchants set up shop in Stillwater. In the early 1940s, Morris Gershon and his wife Maurice opened the women’s clothing store Bonney’s. Morris ran the business until he died in 1989, when the store closed. Later, Beverly and Jim Rovick owned a Hallmark Store in town. ​The Jewish population of Oklahoma State University, like that of Stillwater, was very small. But together, the two groups worked to foster Jewish life in Stillwater. In the years just after World War II, about 60 to 70 Jewish students from the North, many of them former soldiers, attended the university, which had never had a significant Jewish presence before. M.B. “Bud” Seretean was one of these students, and worked to develop Jewish life on campus. Seretean was a good student and active on campus, but a fraternity refused to allow him to become a member after they found out he was Jewish. In response, Seretean established the Brandeis Club for Jewish students at Oklahoma A&M. Fred Katz, Jake’s nephew, was also a founder of the group. The club would meet on Jewish holidays and for social programs at the Baptist and Methodist Student Unions. Having experienced anti-Semitism, Seretean made a point to educate his fellow students about Judaism, regularly speaking to campus Christian groups. After college, Seretean went on to have a varied and extremely successful business career. He remained committed to his alma mater, donating money for a performing arts complex and a wellness center, both of which bear his name. He also served as president of the OSU Board of Governors. The Brandeis Club founded in the late 1940s soon became inactive, though it was revived periodically over the years depending on the interest of various Jewish students and faculty. When Bob Rubin moved to Stillwater in the late 1960s to become the executive director of Kappa Kappa Psi, the national college band fraternity headquartered at OSU, he restarted the Brandeis Club. Rubin acquired a Torah from the closed congregation in Okmulgee and began leading Friday night services at the campus chapel. By the early 1970s, the Brandeis Club reached its peak of activity, holding an annual community seder that drew up to 200 people, most of whom were non-Jews. The club even became an official affiliate of Hillel, the national association of campus Jewish organizations, although it never had a building or a paid director. When Rubin moved to Norman to become the Hillel Director at the University of Oklahoma in 1978, the Brandeis Club became inactive once again. In 1986, prominent alum Bud Seretean, the original co-founder of the club 38 years earlier, worked to restart the group, meeting with students and offering to fund the organization. The revived Brandeis Club offered regular services, Passover seders, along with social and cultural events. After a brief resurgence, the group once again became inactive after key students and faculty left the university. As a student-run organization, the Brandeis Club has had to rely on the interest of the school’s small Jewish student population, which changes every year. As a result, Jewish activity on campus has been intermittent. Over the years, a handful of Jewish faculty taught at OSU. The first was probably Herman Roth, a physics professor who came in 1935. Historian Alfred Levin, the first faculty advisor for the Brandeis Club, came in 1946. Roy Gladstone, a professor in the Psychology Department, came to OSU in 1949. Mitchell Locks was a professor of Management Science from 1970 to 1986, while Perry Gethner was a French Professor. Since the 1980s, there have been no more than 15 to 20 Jewish faculty members at OSU at one time, a relatively small number for such a large state university. The Jewish student population has also remained small, with no more than two dozen Jewish identified students on campus at any one time since the 1980s. Stillwater has never had a formal Jewish congregation. In the 1970s, there was an informal havurah made up of members of the extended Katz family and faculty members from OSU. The group met in members’ homes. Helen and Jack Katz would host the group at their home on Rosh Hashanah for cake and coffee. The group met infrequently, usually for holidays or life cycle events. Jews in Stillwater joined congregations in other cities, sometimes becoming very active members. Rochelle Locks, whose husband was an OSU professor, served as the education director at Tulsa’s Congregation B’nai Emunah for several years. Perry Gethner served as the lay rabbi for the Ponca City congregation and was also active in Emanuel Synagogue in Oklahoma City. Jewish children in Stillwater went to religious school in either Oklahoma City or Tulsa. While Stillwater has never been a center of Jewish life in the state, the presence of Oklahoma State University will likely ensure that at least a small number of Jews will continue to live in the city.